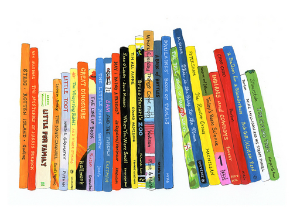 I recently had a client who was confused about the different children's book formats. This is not unusual. I remember when I first started out to learn about children's publishing, I was confused by all the jargon myself. Early readers? Chapter books? Picturebooks? Isn't a children's book just a children's book? Well, hopefully this post will clear up all the confusion. If you want to succeed in this field, it's important to know the standard genres and formats associated with books for children and young people. This is crucial information both for the purposes of writing your story, and for submitting your manuscript to agents and publishers. When you query a literary agent for example, you need to include the book genre and format in your query letter. The last thing you want to do is come across as an amateur who doesn't know their stuff. Below is everything you need to know to use children's-book-format-speak with ease. Feel free to leave a comment and let me know if you have any questions. Board books are the "baby" of the children's book family. 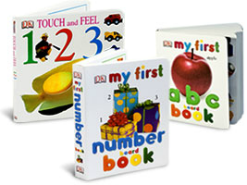 Board books are often marketed as infant, toddler, or baby books. They are meant to be read (and played with) by infants ages 0 to 3 and are designed as such. Infants tend to chew, dribble on, and throw down objects, so the pages of board books are made of thick paperboard with a glossy finish to withstand the wear and tear. Board books are also small in size and typically (although not always) square-shaped– the standard size being 6×6 inches – making them easy for the small hands of very young children to handle. The length varies, but 12 pages is typical and 300 words or less is usually what publishers require (in terms of your manuscript, think one-half to one page). Board books can have a single word on each page, or a few very simple sentences. Since these books are for pre-emergent readers (babies and toddlers who are just beginning to grasp the basic concepts of books, letters, and print) and early emergent readers, they have very simple subject matter and basic plots. Many of them teach early learning concepts, like the alphabet, numbers, or colors. Lullabies, nursery rhymes, fingerplays, or wordless books are typical for this format. The illustrations in board books emphasize bright, colorful imagery to engage tots. The pages of board books often have die-cut rounded corners, or may be shape trimmed with a special die cut. Board books can also have special/novelty features to engage very young children, e.g. lift-the flaps, "touch and feel", finger tabs, pop-ups, or books that make sounds. The vast majority of board books are printed and produced in China and Mexico. Picturebooks are written for children ages 4 to 8 (or 3 to 8). At this time, children typically enter the emergent reader and early reader stages. Also, their attention spans are longer and they can sit still for a longer time. They are now ready to leave board books behind and read longer books, i.e., picturebooks. Recommended word lengths vary slightly from publisher to publisher, but fall into the 400 to 900 word range. In terms of your manuscript, that means 2 to 3 pages. The number of pages in a picturebook is always a multiple of 8. So 16, 24, 32, 40, or 48 pages; however the standard picturebook length is 32 pages. Why multiples of 8? Well, it has to do with a technical aspect of book bindery, namely, the fact that the pages of books are printed as signatures. This means the picturebook is actually printed on a single, large sheet of paper which is then folded and gathered to create the pages of the book. In terms of size, 8x10 inches (vertical book) is the most popular pictureook size. Other standard sizes used by traditional publishers include 8x8 inches (square book) and 10x8 inches (horizontal book). Picturebooks are so called because the illustrations dominate the text or are as important. In fact, the hallmark of a good picturebook is that the illustrations and the text accompany and complement each other to the extent that the text would be incomplete without the illustrations, i.e. the pictures play an equally important role as the text in telling the story. It is not uncommon for every single page of a pictureook to be illustrated. Picturebooks are illustrated using a wide rage of media, from water color, acrylic, and color pencils to collage, photography, and digital illustration. Picturebooks cover an almost endless array of topics and are written in different styles. They require simple, linear plots, i.e. no sub plots or complicated narrative twists. They also require one main character who embodies the child's feelings, concerns and point of view (usually a child or animal character; however, an adult protagonist that children can sympathize with can work as well. An example of a child-friendly adult protagonist is Amos McGee in the picturebook, A Sick Day for Amos McGee by Philip C. Stead). There are many types of picturebooks such as rhyming, rebus, multicultural, wordless, concept, and post-modern picturebooks (the categories can overlap of course). Another type of picturebook is the picture storybook which I describe next. A picture storybook (also called a "story picturebook") is a type of picturebook. The term "picture storybook" is used by some publishers to specify a longer picturebook for older children (more than 900 words is the ballpark). Picture storybooks have more plot development and higher vocabulary level compared to picturebooks. There will also be more text on the page; in fact, in picture storybooks, there may be long chunks of text that take up an entire page. 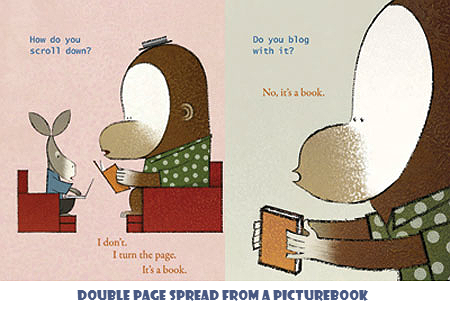 Another main difference between picturebooks and picture storybooks is the way they are illustrated. Above I explained that picturebooks rely heavily on the illustrations to tell the story. With picture storybooks, the illustrations aren't really integral to the story, but rather, serve the purpose of holding the child's attention. Often, with picture storybooks, the illustrations appear on every other page. Some publishers use the term "picturebook" to refer to both picturebooks and picture storybooks. This is where people can get confused because they may have read on one publisher's website that picturebooks should be no more than 500, 600 or 900 words, while other publishers state that they accept picturebooks up to 1,000, 1,500 or even 2,000 words. Just remember that publishers who say they accept "picturebooks" longer than 900 words are using the term "picturebook" broadly or interchangeably to include both picturebooks and picture storybooks. Your picture storybook manuscript should be around 6 pages long, and certainly keep it under 9 pages. Shorter is better than longer. Rebus books aren't usually included in the round-ups of children's book formats I've seen online which is why I'm including them here. Rebus books are a type of picturebook where pictures are used to represent certain phrases, words or parts of words (syllables). These word substitution books are great for getting children engaged in reading. Rebus books also allow children to "read" and understand a story that might have been beyond their reading level if text alone was used. Furthermore, rebus books are valuable for helping children understand a key reading principle, i.e., that words represent concepts. If you are submitting a rebus story manuscript to a publisher, you can underline or highlight the words you think would make good pictures. Or you can simply send the full text of the story and the editor will pick which words to illustrate. Check to see what the publisher requires. Easy readers, also called "beginning reader" and "easy-to-read" books, are books for children aged 6 to 8 who are just beginning to read on their own. They have 2 to 5 sentences per page and if they have chapters, the chapters are short (1 to 2 pages). Easy readers have very simple and somewhat predictable storylines, controlled vocabulary, and are grammatically simple. The story is told mainly through dialogue and action with very little description of characters or the setting. In terms of subject matter, easy readers cover themes and topics that children can easily relate to such as family, friends, pets, school, holidays, sports, being left out, first day of school etc. 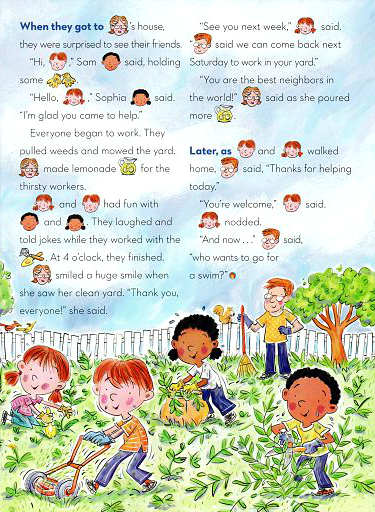 Much in the same fashion as picture storybooks, easy readers have color illustrations on every page or double page that are included merely to hold the child's interest (i.e., the illustrations are not crucial to the story.) Easy readers are meant to be a stepping stone to longer chapter books; as such, they have a small trim size compared to picturebooks or picture storybooks making the format more "grown up", and they are usually soft cover. Easy readers have different lengths depending on the publisher. They can be as short as 200 words or as long as 3,500 words (although most easy readers are in the 1,000 to 2,000 word range). That means anywhere from 32 to 64 book pages. Easy readers are commonly used in Kindergarten through 3rd grade classrooms for reading instruction. Many publishing houses have their own brand of easy readers with numbers or letters to indicate different reading levels. 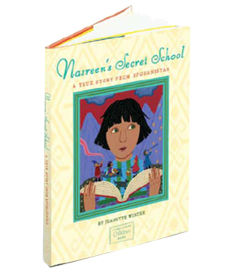 Chapter books are for children aged 7 to 10 who are reading independently. Children can feel a great sense of pride when they begin reading chapter books because they see it as entering the privileged realm of "grown up" books. You'll often find that children who reach this stage start referring to the books they used to read before as "baby books" or "little kid books". Compared to easy readers, chapter books are meatier, with more complex sentences and plot development, however paragraphs are still short (2 to 4 sentences). They also tend to be character-driven stories. Many chapter books use hooks at the end of the chapter that compel the reader to keep reading. In terms of length, again, this varies from publisher to publisher, however the average range is 4,000 to 12,000 words. Your chapter book manuscript should be 40 to 60 pages. Chapter books may or may not be illustrated; when they are illustrated the illustrations are black and white. Early chapter books (sometimes called "transition books") have bigger print and slightly shorter chapters on average (2 to 3 pages) compared to more advanced chapter books which have chapters that are 3 to 4 pages long. They are also shorter- about 30 manuscript pages. 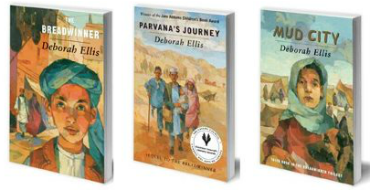 Chapter books are sometimes written as a series, in fact, some of the most popular and commercially successful chapter books are series. Novels for young people fall into two categories: middle grade novels and young adult (YA) novels. Both middle grade and young adult novels cover a wide range of genres from speculative fiction and fantasy, to historical fiction, science fiction and more. 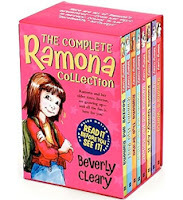 Middle grade novels (also known as "children's novels") are novels for children's ages 8 to 12. These books are also sometimes marketed as "tween" or "pre-teen" books. They can be anywhere from 25,000 to 45,000 words long. The vast majority of published middle grade fiction novels have 35,000 to 45,000 words, however you'll see longer word counts for fantasy, sci-fi, and historical fiction middle grade novels (think Harry Potter). When writing a middle grade novel, aim for 100 to 150 manuscript pages. With non-fiction middle grade books on the other hand, word counts vary a lot (from as short as 5,000 words to as long as 100,000 words) depending on what different publishers are looking for. 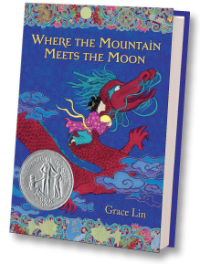 Compared to chapter books, middle grade novels have longer chapters, more sophisticated themes, and more complex plots (i.e., sub plots, secondary characters etc.) Middle grade novels typically aren't illustrated; however, some stylistic middle grade novels have illustrations every few pages (These are known as "illustrated books", an example being The Graveyard Book by Neil Gaiman). Some of the most popular middle grade novels are published as a series with each book featuring the same cast of recurring characters. Generally speaking, publishers are not interested in short story collections or anthologies for children and teens unless they are written by already established authors. The short stories may be by one author (a collection) or by different authors (an anthology). All the stories in a collection or anthology are at roughly the same reading level and target a particular audience/age group. Often, the stories will share a common setting or theme, e.g. bullying. Summer Edward is a Children's Literature and Publishing Consultant. She holds an M.S.Ed. degree in Reading, Writing, Literacy from the University of Pennsylvania and is the recipient of a Highlights Foundation Scholarship for promising children's writers and the School of the Free Mind's inaugural Way of the Book Honor Award given to artist-authors demonstrating long and sincere commitment to changing the world through children's books. Learn more about her here . I suspect the confused client was me, but if it led to this very helpful article I don't mind at all. I have to say, however, that I find it puzzling why story books stay below 900 words and easy readers, whose age group overlaps, are often 1000 to 2000 words long and sometimes even more. I now feel like a three or four-year-old, asking why, why, why! It *was* you :) Just to make sure you read correctly, it's picturebooks that stay below 900 words. With easy readers, the child is meant to 'feel' like s/he is reading a 'big person book' thus there are more words on the page = longer word count. Hi Summer, Thank you for sharing all of this excellent and useful info. Tweeted! You're welcome Jerneal, and thank you for reposting. Welcome to the blog! 1. If the number of pages is 48, does that include the covers and/or inside-covers? 2. When self-publishing horizontal 10x8 to digital format (i.e. for tablets), does this version set up differently than for print, given that there are no more 'facing pages', but rather, pages that follow consecutively? So much to know in this realm. By "inside covers" I'm assuming you mean the endpapers? To get the page count of a picturebook you count each page (back and front) starting with the page after the front endpapers (this is usually the title page) and ending with the page right before the back endpapers. Does that clarify things? I'm not an expert on ebook conversion but I know there is fixed-layout ebook design (as opposed to standard, reflowable ebooks) that allows you to retain the layout and design of the print version. 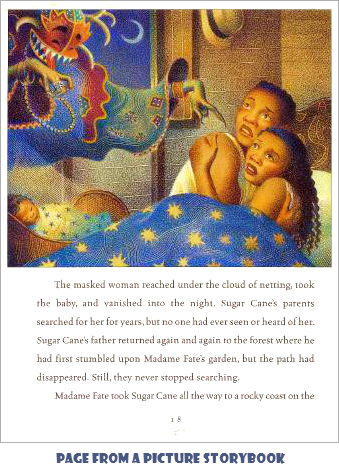 So with fixed-layout ebooks the ebook will in fact display two-page spreads ("facing pages") in landscape mode. For standard ebooks, yes the landscape layout will display as single pages but I don't think the setup is that different except maybe you can consider breaking up the text into columns across the page to make for easier reading, but again I'm not an expert on this. Don't know if I answered your question. Interesting question though, makes me want to learn more myself! Thank-you for taking the time to answer me! Yes this does clarify. It's really confusing, especially for image-heavy picture books, that work best (from a story point of view) in horizontal aspect. And different requirements for every platform/device. Crazee! You're welcome. Keep at it, you'll figure it out! Cool blog you have there! I have a story about a bear who must rescue a bunch of other animals. It is coming in at about 2,500 words. Do I have a picture story book? 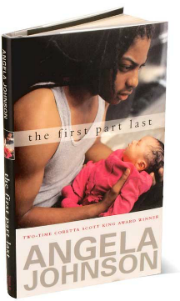 What are some examples of best-selling picture story books? Yes, it's over 900 words so that's a picture storybook. Some popular picture storybooks you can check out are Mufaro's Beautiful Daughters by John Steptoe (1588 words), On a Beam of Light: A Story of Albert Einstein by Jennifer Berne (1558 words), Dave the Potter: Artist, Poet, Slave by Laban Carrick Hill (1736 words), and Clever Jack Takes the Cake by Candace Fleming (1384 words) just to name a few. Locomotive by Brain Floca, which just won the Caldecott Medal is a whopping 2573 words long. You can look up word counts of children's books on this website: http://www.arbookfind.com/. Just type in the name of the book and when the result pops up, click on the title of the book for an extended report. Congrats on completing your manuscript! I do manuscript critiques so let me know if you need a critique. Thank you for your prompt answer, Summer. Is 2,500 words too long for a picture story book (in the conventional world of major publishing)? Does it matter how long it is? About how many illustrations should a picture story book of 2500 + words have? You cited the example of Locomotive by Brain Floca, that is 2573 words long. However, this is, I believe, a work of non-fiction. Mine is fictional. Is 2500 + words too long for a fictional adventure story about an animal helping another group of animals rescue a baby animal? I'm having a hard time finding examples of successful picture story books that are similar to mine. books (of 900 pages or less). I’m planning on going the conventional route, and seeking major representation, while simultaneously finding an illustrator, and self-publishing. Thank you for your input. Well honestly, 2,500 words is on the long side for a picture storybook and traditional publishers usually won't go for something so long unless you are an author-illustrator who has done truly fabulous artwork to go along with your story or are an already established author with considerable clout. Also, from the synopsis you gave, your story doesn't sound like the kind that requires such length, although I would have to read it to make a more informed assessment. I would advise cutting the story down to at least standard picture storybook length, 1,500 words being a safe threshold. You can check out this list of popular longer picturebooks on GoodReads: http://www.goodreads.com/shelf/show/longer-picture-books. I hope that helps. Thanks for your kind words :) Always nice to connect with aspiring authors on here. Hello. I’ve just discovered this blog. Summer, you’ve performed a great service for us writers of children’s books. My book, about 1500 words, featuring a child with Tourette syndrome, according to your categories, is a picture-storybook (or story-picturebook). I plan to self-publish, and am formatting the book. From the info you’ve so generously provided, I think the 8 x 10 size is appropriate for the book. What I don’t know is how much space to allow for the margins on each side of a page. I guess the inner or binding margin should be greater than the outer margins, but beyond that, I’m lost. Any suggestions? Excellent post! Thanks. I'll pin and share. Thanks for the warm feedback Bonham. Great question. One tell-tale sign of a poorly formatted self-published book is itsy bitsy margins. The exterior margins (outer edges, top, and bottom) should be at least half an inch (three quarters is better), and the gutter (the interior margin where the pages are bound) should be at least one quarter inch deeper than the exterior margins. So for example you'd do .5" for the exterior margins (i.e., the top, bottom, the right-side on odd pages and the left-side on even pages) and .75".for the gutter (i.e., the left-side on odd pages, and the right-side on even pages). Good luck with the book! Thanks Donna, I appreciate it! This post has been extremely helpful to me. Thank you so much for all the information you've shared so willingly. I hope you don't mind the fact that I am stalking your blogs. It makes me happy to know you're finding the blog useful Tricia, you guys help me too with all your great questions! Thank you so much. I was thouroughly confused about the picture books. I have a series of ten books that range from 1300-2100 words. My grandchildren love them, but it's been hard to try to figure out how to get them published. Glad to be of help Deborah. Getting published takes effort and dedication but it doesn't have to be a Herculean task. I offer some services to help writers on their path. Feel free to inquire! Your information was quite enlightening, I am planning to get published so these tips were a pot of gold. Thank you Summer. Summer, I would be interested in finding out more about your services. How do I contact you? Or would you rather contact me? Simply fill out the form on the Contact page as described: http://summeredward.blogspot.com/p/hiring-summer.html Looking forward to hearing from you. Really this blog was really helpful for me,I like most the explanation of picture book.Thanks for such a nice post.